“Life is a journey, not a destination,” said Ralph Waldo Emerson. As a man, he could not have known the difficult road many women face as they travel through the change of life known as menopause. Hot flashes, night sweats, mood swings, sleep problems – the symptoms of menopause make the journey one tough trip. It is difficult to know how many women currently traveling through perimenopause but it is fairly easy to identify those women who are on the journey – just look for women who sweat in the middle of winter, laugh when they should be crying and vice versa, and who perspire through six pairs of pajamas every night. Each woman experiences menopause in a slightly different way. Research suggests menopause symptoms can vary between cultures. According to the University of Maryland Medical Center, one study showed 90 percent of American women suffer from hot flashes while only a tenth of women in Japan experience this symptom. It is possible that diet, lifestyle choices, and cultural attitudes towards aging influence how women experience symptoms as they move towards menopause. A large number of women experiences hot flashes, which is an uncomfortable and unflattering flushing of face and chest. Heart palpitations, dizziness, headaches can accompany hot flashes. Once you arrive at Destination Menopause, these annoying symptoms subside. A doctor would say you have arrived when you do not have any periods for 12 consecutive months. In the U.S., the average age for menopause is 51. Some conditions, like radiation or chemotherapy, smoking, never having children, early ovarian failure, hypothyroidism, or being underweight will cause menopause symptoms to start early. You will spend about one-third of your life in menopause but first you have to travel that rocky road known as perimenopause. Why is Menopause a Rocky Road? When you are in your 40s, your ovaries start to shrink. Small ovaries produce less estrogen and progesterone than do larger ones, so your hormone levels sink as your ovaries shrivel as you travel through perimenopause. When you eventually arrive at menopause, your hormone levels crash – they go down and stay there. The road to menopause is not a smooth ride. Your ovaries belch out hormones in fits and spurts; uneven hormone patterns cause wild fluctuations in symptoms. You might battle night sweats and hot flashes for months then have a period and feel fine. Without treatment to smooth things out, your hormones will spend the next four to five years bouncing you back and forth between fertility and infertility. Menopause symptoms are the result of falling estrogen and progesterone levels. These hormones are responsible for regulating your menstrual cycle and performing other functions in your body. Estrogen affects mood, improves vaginal lubrication helps your body burn fat; low levels of estrogen causes the moodiness, vaginal dryness and weight gain associated with menopause. Progesterone is a diuretic, is a natural anti-depressant, increases libido, and balances estrogen. Low levels during perimenopause causes water retention, depression, decreased sexual appetite and estrogen imbalances. Hormone replacement therapy turns the bumpy wagon trail of perimenopause into a paved superhighway to menopause. Hormone replacement therapy, or HRT, fills in potholes caused by fluctuating ovarian function. Because you will experience slightly different symptoms on your journey to menopause, hormone replacement therapy should be individualized to your specific needs. If you have had a hysterectomy, you will likely benefit from HRT that uses estrogen alone. HRT combining estrogen and progesterone is for you if you still have your uterus. Women should always use the finest HRT supplements available to pave a more enjoyable road to menopause. Contact your healthcare provider to learn if HRT can smooth out your menopause symptoms so you can actually enjoy the journey all the way to its final destination. You may even have time to read a little Ralph Waldo Emerson. 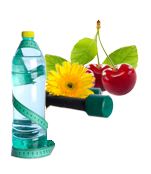 Are you Looking for a Weight Loss MD in Denver?